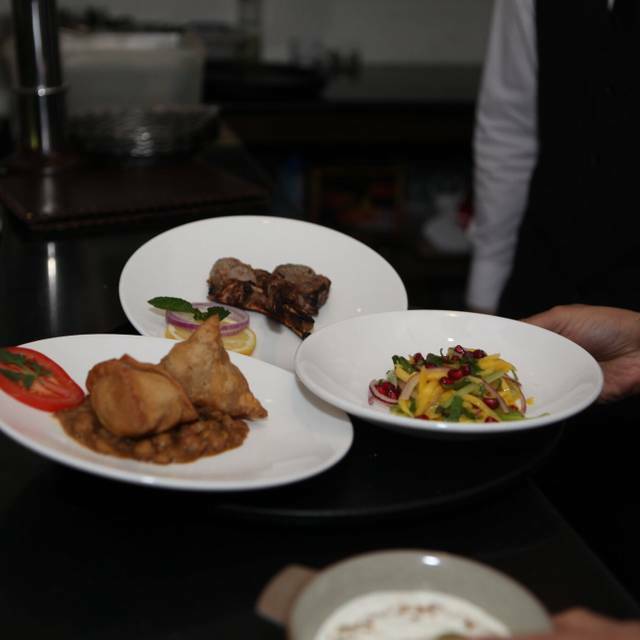 Welcome to dinning the Zayna way! www.zaynarestaurant.co.uk Serving regional authentic Pakistani and north Indian food. Potato, aubergine and coriander mixed together in freshly prepared flour batter made from ground moong and masoor lentils. Freshly​ prepared pastry wrapped round garden peas, herbs and potato chunks or mince lamb. this popular Indian dish is served with a zayna special chickpea sauce. Small wheat crisps, spiced chickpeas, yoghurt and tamarind sauce with a sprinkling of fresh pomegranate, experience eating the Indian way. King prawns coated with rice and wheat flour batter served with zayna’s chilli sauce. Freshly caught cod fillets deep fried in a gram flour batter. An​ invigorating combination of diced apple, red onion, tomato and cucumber finished with a sprinkling of chopped coriander and a squeeze of lemon. Thin sliced mango, red onion, cucumber and coriander topped with a passion fruit and mango sauce. Mixed yellow lentils soup cooked with cumin, coriander and garlic. Skewered minced chicken mixed together with butter, garlic, black pepper and freshly squeezed lemon juice. Lamb mince treated with a special recipe of herbs, spices and fresh coriander. Cubes of chicken dressed, marinated overnight with mint, coriender green chillies and lemon. Chicken cubes marinated with cream, cardamom and black pepper. Tender chicken marinated with traditional tandoori spices, fresh lemon and garlic. Lamb chops marinated overnight in a fenugreek, black pepper and garlic based yoghurt sauce. Homemade paneer marinated in pickle and rosted spices cooked in clay oven. Lamb chops, chicken tikka’s and kebabs with a choice of dips. Chicken thigh cooked with yogurt, tomatoes, ginger, black pepper, fenugreek and fennel seeds. Chicken cooked up in a wok with an aromatic blend of garlic, onions, ginger, tomatoes, mixed spices and coriander. Chicken cooked in milk, yogurt, sesame seeds, cashew nuts, green chillies, coriander and mint sauce with a touch of zesty lemon. Chicken tikka masala the mughlai way! Murgh tikka cooked in clay oven and finished in mild creamy tomato sauce with ginger, garlic, onions and tomatoes. Cubed beef chuck slow cooked with ginger, garlic, green chillies, onions and tomatoes. Finished with mixed ground spices and coriander. A traditional punjabi market dish, lamb cooked up in a piping hot wok with tomato, ginger, onion, garam masala and a whole host of spicy goodness. One of our best. Slow cooked lamb in a yoghurt, onion, garlic, ginger and mixed herb sauce. This signature zayna dish is full of spices and flavour. Juicy king prawns with a rich tomato based sauce infused with ground spices. Sliced chicken breast cooked with tomatoes, ginger and green chillies. Chef's favourite. Chicken legs off the bone, marinated overnight, slow cooked in the clay oven and finished on the griddle with onions, tomatoes, green chillies and fresh coriander. Slow cooked chicken leg marinated in yoghurt, ginger, garlic and fresh lemon juice. Fresh​ fillet of salmon marinated with olive oil, garlic, lemon coriander and ajawin. Juicy​ king prawns marinated in lemon, garlic and coriander. Basmati​ rice cooked with potatoes, carrots, peas, cauliflower, turnips with onion and ginger sauce. Tender chicken and saffron pilau rice finished with ginger and fresh coriander. Tender lamb served with rice, dried plum, potato. This traditional mughal dish is essential for all lovers of good food. A​ delicious blend of juicy prawns and basmati rice finished with ginger, garlic and fresh coriander. Cauliflower​ cooked in a tangy garlic and tomato sauce with potatoes, cumin, coriander and home made red chilli. Fresh spinach leaves and sautéed paneer cooked in ground spices. This kashmiri dish combines cauliflower, carrots, garden peas and potatoes to create one of the most popular dishes. Aubergine cooked with tomato, onion and garlic topped with fresh coriander. Cubes of paneer cooked in creamy tomato sauce garnished with fresh coriander. Chickpeas cooked overnight with onion, garlic, ginger and cumin to create this famous market dish. A zayna special. An exciting mix of three lentils: gram, moong and masoor, are topped with a garlic and ginger sauce. Whole urad lentils cooked in a light creamy, onion and garlic sauce with spices over a long period to ensure the flavours infuse. A sliced cucumber, red onions, tomatoes, green chillies and lemon wage. As Zayna have decided to come off Opentable books, this review is pointless! It is very good food but expensive we thought. The food was absolutely fantastic. Fresh ingredients expertly prepared. Definitely 5+ stars for the food. Zayna a was recommended to us and it certainly delivered. What a little gem. If you are looking for beautifully cooked food served well you may book with confidence. We were very impressed. The food was excellent, as was the service. Many of the main courses are available as half portions. We had appetizers followed by 2 half-portion mains and the Shahi Palak full portion- an outstanding dining experience! Very overpriced especially considering small portions. Waiter indifferent. Meal felt rushed although we had lots of time - food came one course after another with no break in between. I have eaten at Zayna on a number of occasions over the last couple of years. I live overseas and Zayna is now one of the first places I visit when I am in London. The spicing of their food is really good and I like that they also serve quite authentic dishes. Much as I enjoy some of the more modern cooking of a number of Indian restaurants in London, I would always come back to the honest and straightforward style of Zayna. One of the best restaurants serving Indian / Pakistan food I have eaten in. Amazing lentil soup for starters. The food was excellent, but we ended up in the very small basement dining room. We missed the cheerful buzzy ambiance of the main dining room, and made the experience much less pleasurable. The food was very good but the setting downstairs was a little stale so make sure you ask for an upstairs table. Reasonable prices for the food but the drinks prices were ludicrous (£17.50 for a double + mixer). We discussed this with the manager who informed us about the rationale for this (imposed apparently) so accepted it. Overall would go back for the food which was some of the better indian food i've had in London. Very good resturant but you need to be upstairs..food quality is very good. 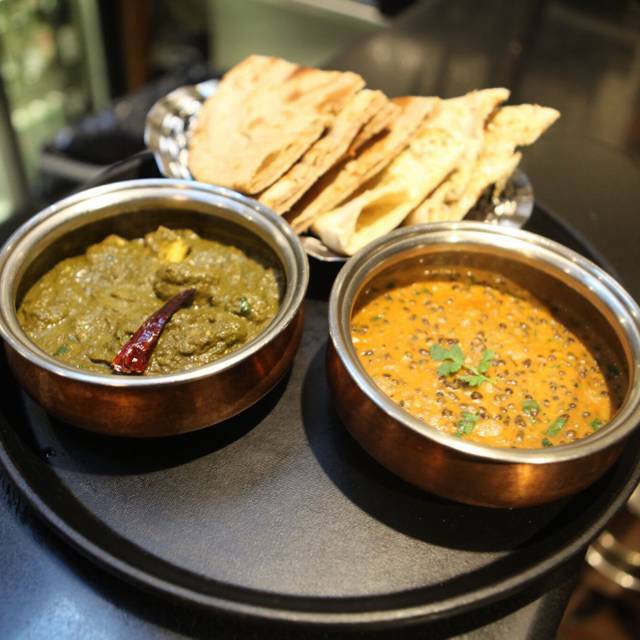 An excellence for Indian food in London. The food was wonderful and service was just excellent. we will go back again! A true dining experience. We did not look at the menu, the owner came to take our order and we asked him to send us his best dishes. After that it was all a visual festival of scents and tastes. A great experience. Rude abrupt indifferent service with nondescript food. What a great combination!! I was recommended to try this restaurant and I was very glad to have visited. My friend and I shared the pakoras and some popadoms to start with - both amazing and so moreish! I had the starter portion of the tandoori salmon because it's such an uncommon dish in Indian restaurants I've been to and I also got the butter chicken. The salmon was the right amount of spicy and very soft and flavoursome. The chicken was also amazing - normally I dont care for much sauce but I was so pleasantly surprised with this dish. For the first time ever, I mopped it up with the peshwari naan bread my friend and I shared. When booking, I was so happy to see the vast number of fish and also vegetarian options as my friend doesn't eat meat. She had the paneer and the Dahl and said both were delicious. Place is kind of cosy and staff is friendly. We ordered the Murgh Taka Tuk and Ishtu. The Murgh was tasty and somewhat hot even tho the waiter told us everything was cooked medium. The Ishtu was very strange and reminded us more of a stew with some indian spices rather than authentic indian/pakistani food. I would not recommend it to anyone. The lamb in the Ishtu was tender so atleast that's a plus. I feel like there is plenty of better options for indian dining in the Marleybone-area. The restaurant is in a great location. Staff are friendly and welcoming and are helpful with the food and wine selection. Great tasting food and good portions, a good choice for Indian/Pakistan cuisine. Zayna is my favorite restaurant in the world. I love it. It was so great .starter was excellent . Very tasty food and an outstanding service. Very noisy the night we were there though. This is an outstanding restaurant with outstanding quality of food and wine. The service is extraordinary good informed concerning their food and wine, friendly ans attentive. Reservation recommended - ask in any case for a table on grand level. The area underground is less appealing. Lovely tasty food and not expensive. Nice atmosphere. Great atmosphere with great food (but small portions)! Nice and friendly atmosphere. Good food and good service. Had a great time at Zanya with wife and our two kids (8 & 10). Friendly reception, swift taking of orders, great drinks and really good food. Would recommend it! We made oureservation one month prior to our trip to London. Everything worked well, table was ready the exact time, service was excellent and food just how we expected. We had a nice dinner with the family. It was worth it to travel from Finland :-). Fantastic food, fantastic restaurant! Great value for money. I ate the prawns and “Ishtu” lamb, and my friend took mango salad and two-half vegetarian dishes (good option given by the restaurant). We finished with eastern and western desserts. All dishes were great! Highly recommended! This is a wonderful place and the best Pakistani/Curry in London. We have been several times and each dinner seems better than the precious one. Sean is a terrific host along with the rest of the knowledgeable and courteous wait staff. Enjoy! Best Indian food in London. Be sure to make a booking as they are very popular and have a limited number of seats. Try the Rose wine from Morocco! Will be back on my next visit to London. Cheers!